Is your hot water tank warm to the touch? 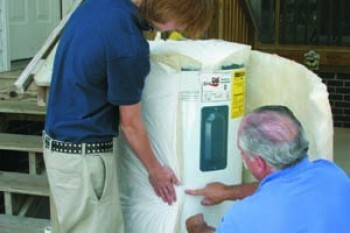 If your home's water heater feels warm, consider insulating it to save 7 to 16 percent annually on water heating costs. Insulation blankets are available for as little as $20. Make sure to follow the manufacturer’s recommendations.